Challenge: Create a flexible, cable-free, multi-channel cloud-connected sensor interface. Solution: Precision analogue electronics controlled by a ZigBee SoC [System on Chip]. Founded in 2016, Hark has created a software platform for use in the retail, manufacturing and life sciences sectors, among others. The company’s flagship product, the Hark Platform, is an interconnected cloud-based sensor technology that allows users to monitor, store and gain insight into their environmental data, including temperature and energy consumption in real-time. Hark started its journey with a shake-up of the way temperature and humidity was being monitored in the pharmaceutical sector with the launch of its wireless hardware to replace non-wireless, single point systems legacy systems that relied heavily on paper. Its new technology would enable any industry standard sensor to be connected to the platform via plug-and-play for rapid deployments. Hark had developed a prototype wireless temperature monitoring device and wanted to put it into production. While they planned to focus efforts on developing the cloud platform, embedded electronics work would be outsourced. The company’s primary goal was to build a Sensor Relay and Sensor Hub to communicate data over the internet to the Hark Platform. The system needed to deal with the complexity and variety of clients. The Sensor Relay needed one or multiple inputs (at least 10 channels) connected to environmental sensors. Here analogue precision was required for isolated inputs. The Sensor Relay’s role was to forward data at a specific interval (one minute) to the Sensor Hub over radio. The Sensor Relay needed to be wireless with ample range for large scale deployments. The Sensor Hub had to connect to several Sensor Relays and forward data onto the Hark System’s web platform for storage over an Ethernet connection. The team was considering a range of radio frequency (RF) technologies including Wi-Fi, 868 MHz an industrial scientific band, and Long Range (LoRa). While initial deployments were meant for indoor pharmaceutical labs and small buildings, Hark wanted a solution that would support longer ranges for larger buildings, and even across cities using multiple hub gateways. Hark engaged ByteSnap Design due to its impressive portfolio, specialist radio communications expertise and experience on analogue projects. ByteSnap’s engineers worked with Hark to refine existing specifications for the board in the Sensor Relay. While the project seemed straightforward, ByteSnap recommended the most efficient way to build a robust, quality system at a reasonable Bill of Materials cost. Initially, the board was designed to report via ZigBee over Raspberry Pi, with information uploaded onto the Hark Platform. 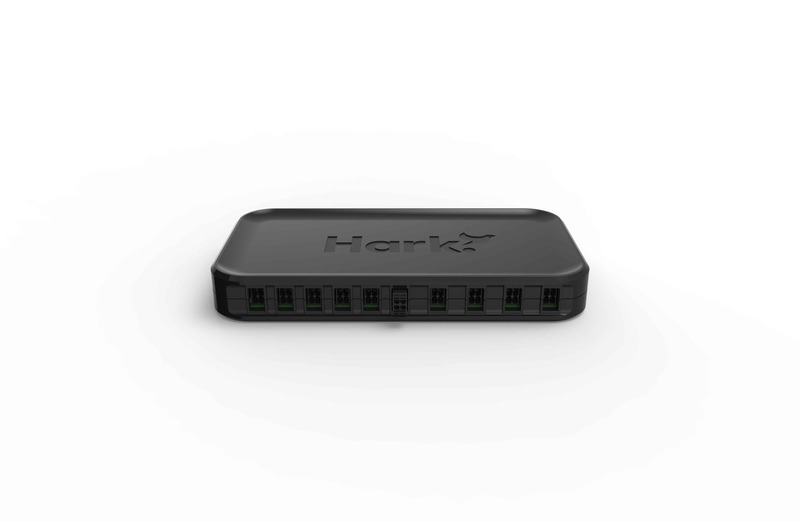 By the end of the project, Hark replaced the Raspberry Pi hub with its own gateway for added functionality and durability. ByteSnap provided hardware design and firmware development on the PCB and implemented ZigBee as the communications channel between the board and hub. The board had multiple channels that enabled a set of different temperature sensor types to be used, depending on a client’s setup. ByteSnap’s consultants also worked with Hark on mechanics to determine connectors’ locations and the shape and size of the board. SiLabs’ ZigBee radio modules were used. A successful rev A board was designed, shipped, tested and was subject to minor modifications following use in the field. Working closely with ByteSnap, Hark wrote the hub code and undertook server work. They also made modifications to the embedded firmware that ByteSnap initiated for them. The embedded electronics company’s knowledge of RF led to the decision to implement ZigBee, primarily for the protocol’s excellent mesh networking capability. ZigBee offered the ability to use repeaters, including other temperature monitors, to effectively pass data within large buildings. In a concrete building, any radio will struggle to get through walls; this is where a short-range point-to-point system that repeats the signal is optimal, rather than using higher amounts of power on a star radio topology such as Wi-Fi. ByteSnap also designed the system to be modular to minimise the development cost of moving to a longer-range radio system in the future. The consultancy conducted basic temperature testing to assess noise and accuracy, and Hark completed the testing to ensure that the monitoring device met regulatory standards. Hark has also been recognised as Tech Innovation of the Year in the Leeds Digital Festival 2018 and was shortlisted in the 2018 UK Business Tech Awards for the Best Use of Innovation category.